Obituary – Andrews, John Edward « Perry High School Alumni Association, Inc.
Football 48-51, Perryscope Staff 50-51, Assistant Editor Perryscope 50-51. 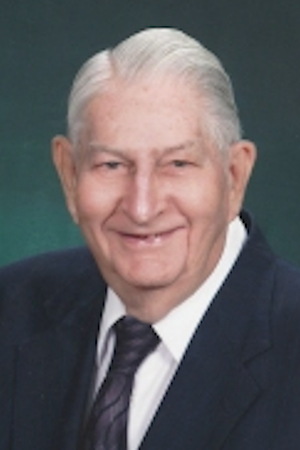 John Edward Andrews, 85, died May 23, 2018 at St. Francis Hospital, Tulsa, OK. Services will be at Zion Lutheran Church at 2:00pm on May 29, 2018. Pastor John Wackler will officiate. Interment will be at Grace Hill Cemetery, Perry, OK. Viewing will be held on Sunday, May 27, 2018 from 1:00pm to 6:00pm at the funeral home. Family visitation will be held at Zion Lutheran Church on Tuesday, May 29, 2018 from 12:30pm to 1:45pm. Pallbearers will be Frank Kulling, Tim Dolezal, Kenneth Edmonds, Stan Benson, Harl Hentges, and Buddy Harrell. Honorary pallbearer is Starling Miller. John Andrews was born February 21, 1933 at Burlington, Colorado to Leoan and Edna Andrews. He graduated from Perry High School and immediately went into the Marine Corps. He served thirteen months in Korea and the rest in Pendleton Marine Base in San Diego. 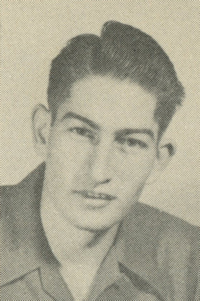 After he was discharged, he worked as a printer for the Perry Daily Journal, Watonga Republican, and the Oklahoma State Daily O’Collegian. Then he worked for the postal system as a letter carrier. He married Patricia Smith on March 4, 1955 and to this union was born three sons, Jeffery Andrews (Diane), James Andrews (Tina) and Jackie Andrews (deceased). He is survived by his wife, Patricia Andrews; two sons, Jeffery Andrews (Diane) and James Andrews (Tina); brothers, Larry Andrews (Jane) of Sierra Vista, Arizona, Bobby Andrews of Amarillo, Texas, David Andrews (Connie) of Richland Washington; sisters Carol Jane Malinilmis of Smithville, Texas, and Joyce (Bill) Getz of Blair, Oklahoma; three grandchildren, Clayton Andrews, Callum Andrews, and Tara Andrews all of New Zealand; and many nephews and nieces. Memorial contributions can be made to Zion Lutheran Church care of Dighton-Marler Funeral Home, 5106 North Washington, Stillwater, OK 74075.